Should You Sell Clients' Uncollected Debt? Times are tough when you have to borrow money to pay your bills. Well, it's about that time for more than a few law firms. And it's not just the solo practitioners working on shoe-strings. According to reports, even some BigLaw firms are reaching for money at the end-of-the-year rope. Cadwalader, Wickersham & Taft, New York City's oldest law firm with more than 450 lawyers around the world, sold off some of its receivables to make ends meet last year. Cadwalader saw gross revenue drop 3.7 percent to $463.5 million in 2015. Managing partner Patrick Quinn attributed the decline to lagging collections. A former partner anonymously told the American Lawyer that the firm sold off some of its receivables at the end of that year. It's not as dire as it may sound, however. Like any business, law firms borrow money for their operations, i.e. buying furniture, computers, software, etc. on credit terms. Some need financing for their type of practice, such as litigation costs in class actions or large contingency cases. The problem for lawyers is, they usually don't have physical assets for collateral on loans. So more firms have been selling their accounts receivable to third parties in down years. The buyers include banks and other financiers, who typically pay half up front to get a full return after receivables are collected. Travis Lenkner, managing director of litigation finance firm Gerchen Keller, said the law firm takes a loss in return for cash in advance. "It's increasingly common that a firm knows they'll have receivables coming in the next year," said Jonathan Molot, chief investment officer at Burford Capital. "They don't have the cash now, [but] they want to pay their partners." Factoring, which is financiers paying companies discounted prices for receivables, has been around for centuries. It has become common practice with contingency attorneys, and is extending to other areas of the legal profession. "Legal funding" is the new term for factoring of legal receivables. 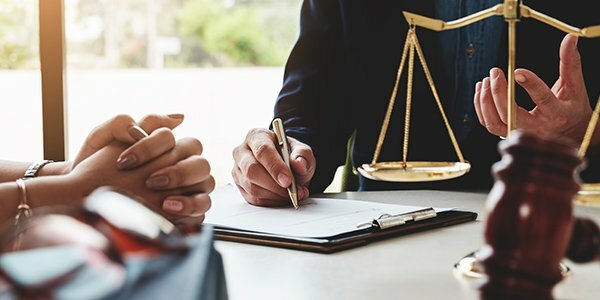 Legal lenders have higher interest rates than banks or credit unions, according to Joseph Genovesi, president of RD Legal Funding, but factoring is a viable option because it advances capital to attorneys who would be denied by traditional lenders. "As the legal industry has been facing more financial difficulties due to the credit crunch, using legal funding to factor legal receivables may become a more and more pertinent option," he said.